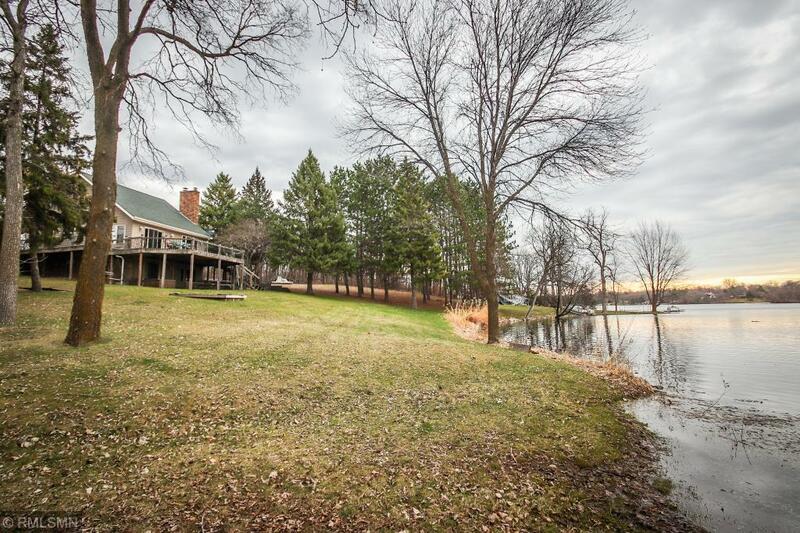 Incredible 5 Private Acre Lake Home with over 1000 ft of lakeshore on the Popular Horseshoe Chain of Lakes!! Enjoy the sandy beach, sand bar, mature trees, surrounded by both Kray & Park Lake. Home features countless updates, vaulted ceilings, loft, lrg entry, MF bedroom, rec room with bar, hottub & sauna, family room, fireplace & walk-out LL. Featuring heated workshop, 3 garage stalls, shed, boat house, carport, wrap around deck, patio & porch. Private Paradise Ideal for Entertaining.